I was invited to participate in New York gallery M55's summer 2011 exhibition entitled "In the place where we live". 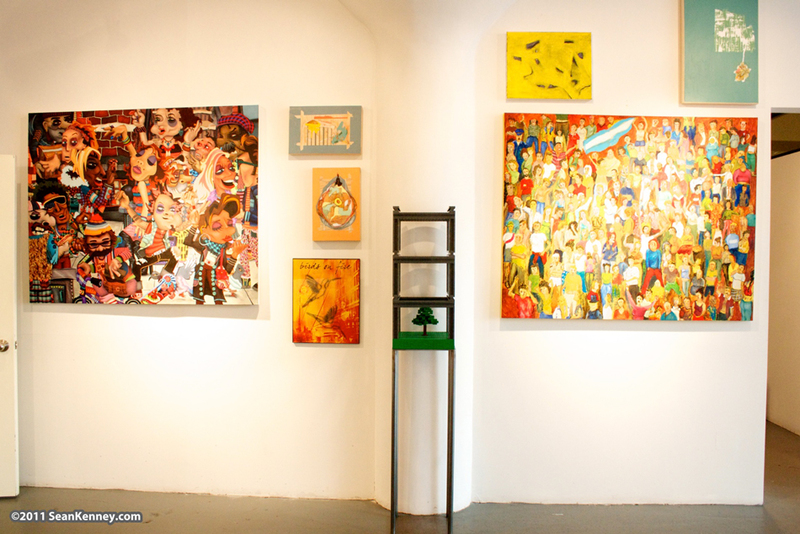 The show featured over 30 local artist's work, centered around the idea of community and place. My sculpture, "Park-ing Facility" was selected for the show. In constructing a new baseball stadium for the New York Yankees, the city and state of New York gave lots of money to developers and let them tear through parks and playgrounds in order to build parking lots and parking garages. Why are tax dollars used to eliminate public spaces? The piece was on display at the gallery during July and August 2011. If you are interested in showcasing one or more of Sean's sculptures at your gallery, or to book a solo exhibition, please contact us.